One of the first pieces I remember stitching is a combination stamped cross stitch and crewel embroidery rendition of an old-fashioned coffee grinder. I don't know if I knew what a coffee grinder was at the time - I was probably about 12 or 13 years old. I still have this piece, it's actually quite good and it is still displayed in my kitchen. 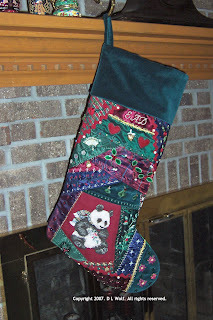 Many of my completed cross stitch pieces were Christmas decorations or gifts. I have a dozen nieces and nephews. Over the years I have made a personalized Christmas ornament for each of them and most were completed in time for their first Christmas, except for my goddaughter, Emily. 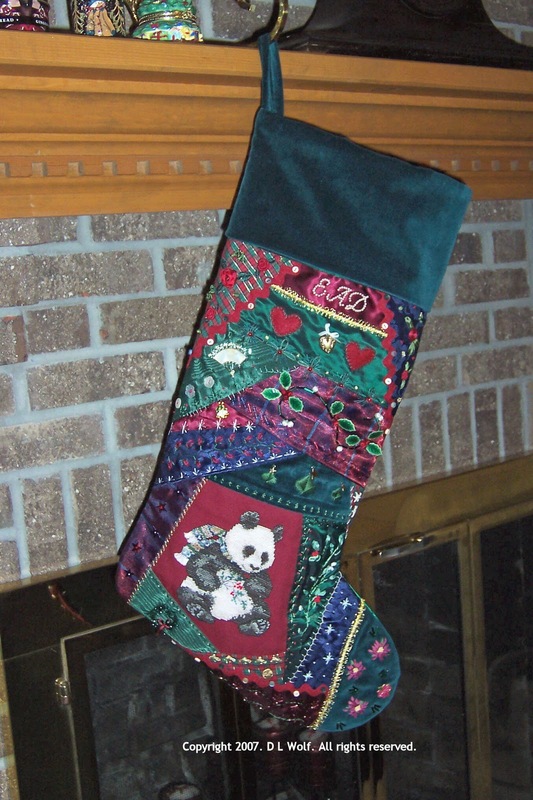 Emily's stocking took me a couple of years to complete because although it started out as just a cross stitch design of a Christmas Panda, we were experimenting with crazy quilting in EGA around that time, so I decided the stocking had to be crazy quilted. I have always been more comfortable following charts and instructions . . . actually, I need them. In this case, I had to be creative and make it up as I went along, which was torturous, but the results were quite wonderful, if I do say so myself. 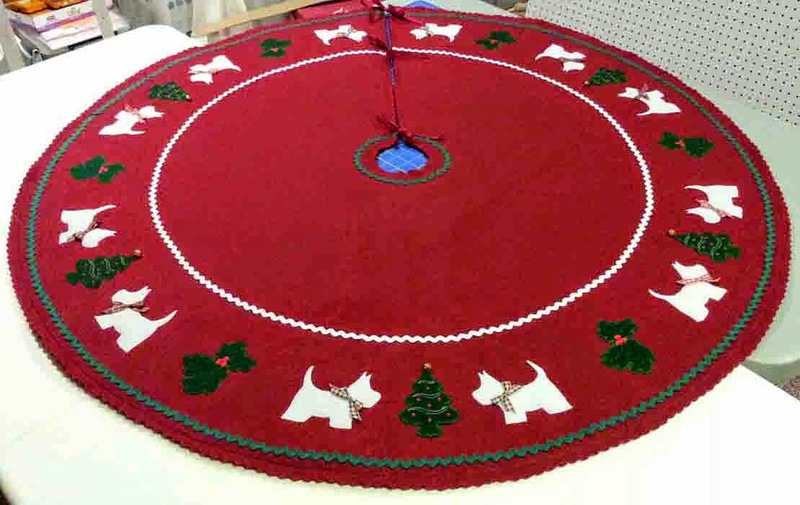 When it came time to assemble the front and back of the stocking, my trusted old Kenmore sewing machine refused to stitch even one seam. 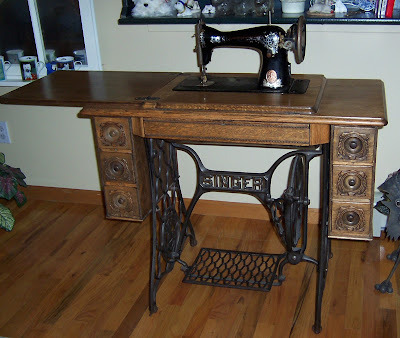 That's when I began looking for a new sewing machine with maybe a few extra features . . . and ended up with my Husqvarna Viking Designer SE. Emily's new little brother, Richie, didn't get his ornament in time for his first Christmas either, 'cuz their dad requested a second stocking. Nephews #11 & #12 just arrived in 2007, so I still have time to finish those. Another Christmas-themed piece that I am very proud of (and display in my home all year long) is my adaptation of Santa of the Forest (designed by Marilyn Leavitt-Imblum--Told in a Garden / Lavender & Lace / Butternut Road). This piece took me several years to complete. I worked on other projects in between, but I got "stuck" a few times; I worked on this piece consistently after 9/11/2001 and had completed all but the wolf's face, when I lost my first westie girl, Wyndi, and I just couldn't bear to look at it again for months. I eventually was inspired to finish it and I'm so glad I did. Santa's face is stitched one over one, and I have made a number of color/fiber substitutions and added gold-toned moon and stars charms (because my Santa is in the forest at night). The framing was done at Where Victoria's Angels Stitch. This piece won a third place People's Choice award at our Bergen Needlework Fair in 2003.